Travel retail shopping has seen huge growth over the past few years.Valued at 63.6 billion U.S. dollars in 2016, the industry is predicted to grow to a mammoth 84 billion dollars by 2020. When it comes to travel retail shopping, the focus seems to have shifted quite a bit from the typical purchase of liquor and chocolates to beauty products…both skin care and cosmetics. Today, beauty accounts for around one-third of all travel retail sales worldwide as the conscious need for personal grooming is at an all-time high. This has obviously driven many brands to focus on the travel retail space as a potential market with huge growth opportunities. This is basically the main reason people shop from duty free…beauty or otherwise. The exemption from paying Import duty and VAT (Value Added Tax) allows passengers to buy their favourite duty free fragrances and cosmetics at the lowest possible prices. 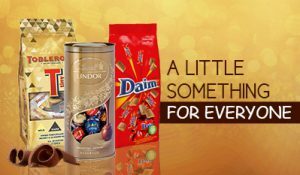 Duty Free shopping not only offers price advantages but also access to the widest range of brands, new launches and limited edition products…all under one roof. It’s basically a shopping paradise for all beauty enthusiasts. The time period between stepping through security and reaching the final destination, popularly known as the “Golden Hour” is the prime time for spending. 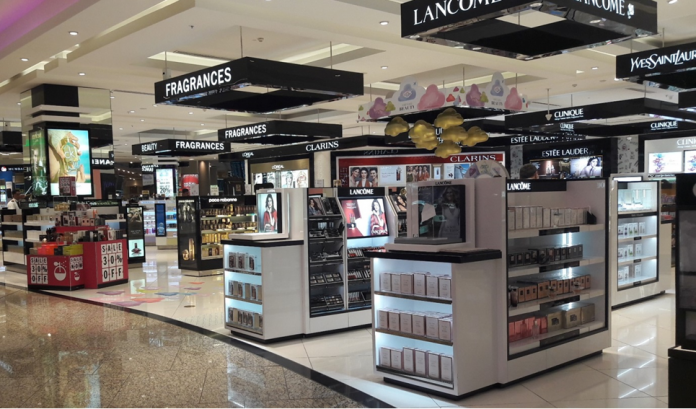 Airport duty free shops provide the perfect opportunity to make beauty products accessible to passengers at the peak of their spending capacity. Another reason beauty brands account for such a big part of travel-related spending is that the product itself is perfectly aligned to the notion of ‘on-the-go’. Minis or ‘travel sets’ are aimed at global jetsetters who don’t want the hassle of taking full-size products along with them. Meanwhile, for brands, it enables them to promote their products as being exclusive to airports or duty-free stores. Duty Free stores today don’t just sell products, they sell experiences. Duty free operators across the world have become increasingly conscious about catering to every facet of a passenger’s needs. They’ve ventured into the most niche categories to ensure competitive pricing and availability of bestselling products all across. And the same time there is also great emphasis on giving the travellers a memorable shopping experience though attractive visual merchandising and a driven sales staff.So much so, that airports these days can provide a shopping experience to rival the biggest malls in the world. As a result, many retailers have begun experimenting with the airport as a unique space – one that is perfect for trialling new ideas and concepts.Airports have become more about the experience consumers can have before they get on the plane, rather than about the act of travelling itself. Although there is huge opportunity for more affordable brands, travel retail is traditionally a market for luxury and high end products.Research shows that airports account for 5% of total luxury sales.And with consumers that buy luxury traditionally having a higher holiday budget than those that don’t, it makes sense that this demographic will be willing to spend big at the airport.As a result, the means more flexibility for beauty companies that might otherwise target a limited demographic. Instead of online or even physical stores, where people are much more likely to stick to what they know, the area of travel retail presents a unique opportunity to target all kinds of shoppers – all equally eager to partake in a pre-holiday splurge.